We absolutely loved Havit’s last product, the Havit G1 Wireless Earbuds, so much so that they won our ‘Review Hub Recommended‘ award. 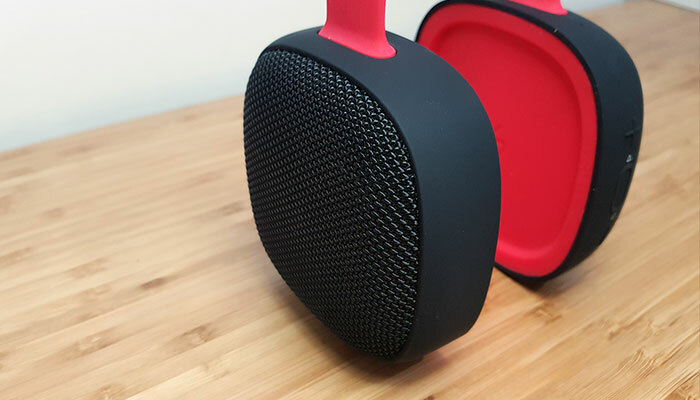 As you can guess, we were super excited to test out their latest Bluetooth speaker, the E5. Winning a RedDot Design Award for its innovative clamshell design and boasting up to 30 hours of playtime, the only thing this speaker needs to deliver on… is the audio quality. 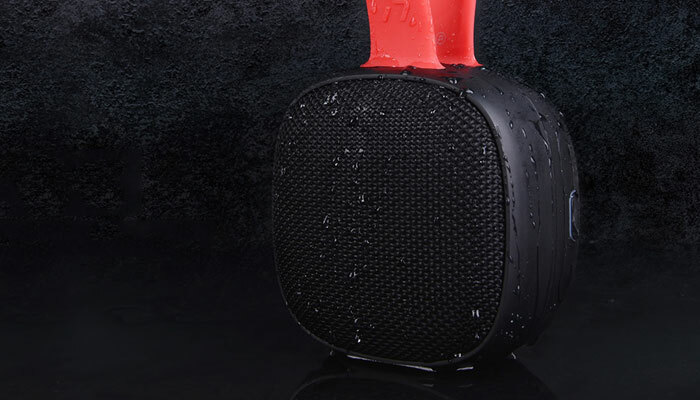 If it can, we’re going to have ourselves one heck of a waterproof Bluetooth speaker. 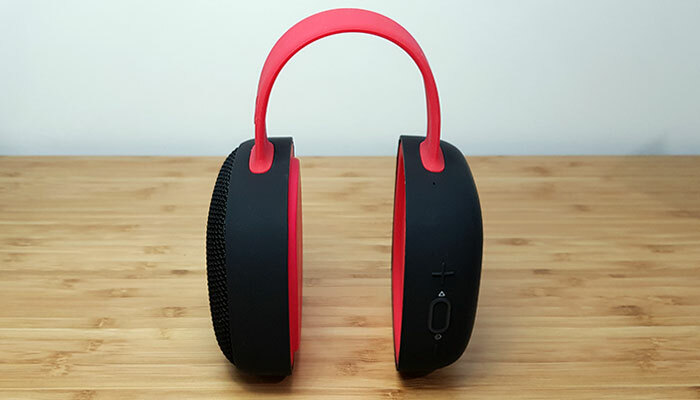 In this Full Havit E5 Bluetooth Speaker Review, we’ll be covering the Build Quality, Audio Quality, Connectivity, Design & Battery Life. For our audio tests, we’ve been using a pair of E5’s around the office for the last two weeks. When you first turn on the little E5, you’ll hear a strange bubbling water sound. Maybe a hint at this speakers waterproof IPX rating. After connecting via Bluetooth, you then hear a magical piano sound. Is this a sign of the epic audio wizardry I’m about to hear? Unfortunately not, the 45mm drivers inside the Havit E5 are a little disappointing, as there’s no bass to be found anywhere. We tried the E5 on a variety of surfaces hoping for some reverberate effect, but we had no such luck. Since I’m a silver lining type of guy, this makes it the perfect speaker to buy for your kids! No ear thumping bass coming from this little can. It’s not all bad news though. The mids and highs are surprisingly pleasant and clear with vocals coming through with plenty of detail. It’s a nice speaker to listen to live folk, and vocal tracks and while I bashed the bass earlier, it’s still a big step up from your laptop or phone speakers. It’s bass just isn’t comparative to what we’ve seen from other micro-speakers close to the same price-range. On its own, the E5 is a mono-speaker, but grab yourself a second one and you can pair them up in stereo. For a low cost speaker, this is certainly an impressive feature to have and really improves the soundscape and resonance. 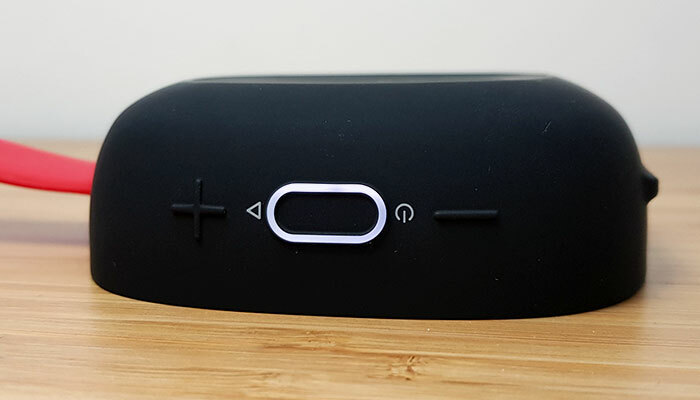 The design of the Havit E5 Bluetooth speaker is fantastic. The battery and the speaker are held together by magnets, both in their separate housing, joined together by a flexible band. This means that you can easily hang the speaker from most things, hint hint, your shower! 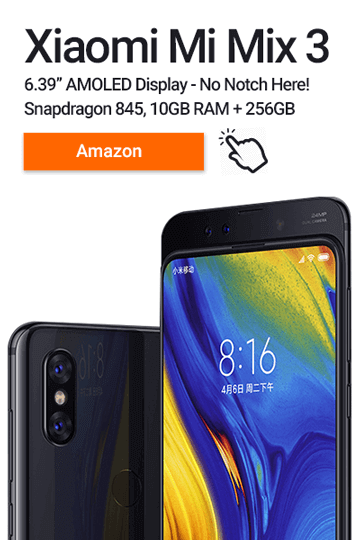 The whole speaker is made from a premium soft touch TPU plastic, which is a bit of a fingerprint magnet, but looks good and will help protect it from scratches and drops. On the battery side, the buttons have a solid click to them and feel like they’ll stand the test of time. On the bottom, there are also four minimalist feet to help it stand up on its own. What really helps the E5 standout, is its IPX7 rating which means it can be submerged in waters for up to 30 minutes at a depth of 1 metre. This same rating also stops dust, dirt & grime from entering the speaker as well. You will need to make sure the charging compartment is sealed properly though before taking it into the shower. Design Specs: IPX7 Waterproof, 16x9x6 cm dimensions, 392g weight. Battery life on the little E5 is epic! 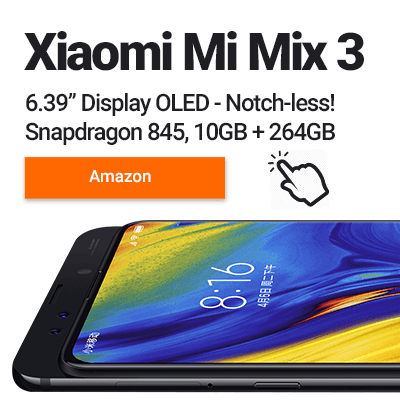 The battery compartment houses a 4000mAh battery that when combined with the 5w speakers will last you around 20-25 hours at a medium volume (aux in) and a little less via Bluetooth. Since it’s packing so much power, Havit has also added power bank functionality to the E5. This means that you can charge your phone off the speakers full sized USB port. Next to this, you’ll also find the Aux input port (cabled provided in the box), and an SD Card slot. Just load your music onto a micro-sd card and then you can use the speaker as a completely standalone unit, no phone required. Charging up this large battery does take around 4 hours, so you’ll want to plan this in advance. To check the battery level, you can press the power button which lights up to 4 LEDs on the back. Finally, the last connectivity feature that the Havit E5 boasts is TWS. This lets you pair up two of the Havit E5 together giving you stereo audio. Setting this up is a bit fiddly, so I’ve included a guide at the end. Connectivity Specs: SD Card Port, Aux Port, Full Sized USB, Micro-USB, Bluetooth 4.2, TWS Stereo Link. If you’re looking for the best sounding speaker that comes in a small package, then the E5 is not for you. In terms of sound quality, there are better options available. What the Havit E5 does offer is an award-winning rugged waterproof design that comes with excellent battery life. While the bass is lacking, it’s a big step up from laptop or phone speakers. The magnetic design means that it can be hung anywhere and the three audio connection inputs are very welcome. Do we recommend the Havit E5 Bluetooth Speaker? Yes, it scores highly on build quality and versatility. It’s a great gift for kids, but if you’re serious about your audio, you might feel let down by the lack of bass. Connecting the Havit E5 speakers in TWS mode can be tricky if you don’t know what you’re doing. Don’t worry though, follow these steps in the right order and you’re good to go. Turn on Speaker 1 & 2. Both speakers will now be flashing white. Press the Arrow Up twice button on speaker 1 until you see a solid white light. Connect to speaker 2 via Bluetooth. Once paired in TWS mode, they’ll automagically pair next time, hassle-free. How to use Google Voice Assistant or Siri on the Havit E5? Hold the Triangle up button, above the white E5 light. Have any Havit E5 tips or questions? Comment below!